Now that we are quite satisfied with the visual aspect of the game, it's time to work a bit on making the world more lively. So, we focused on animations and FX. 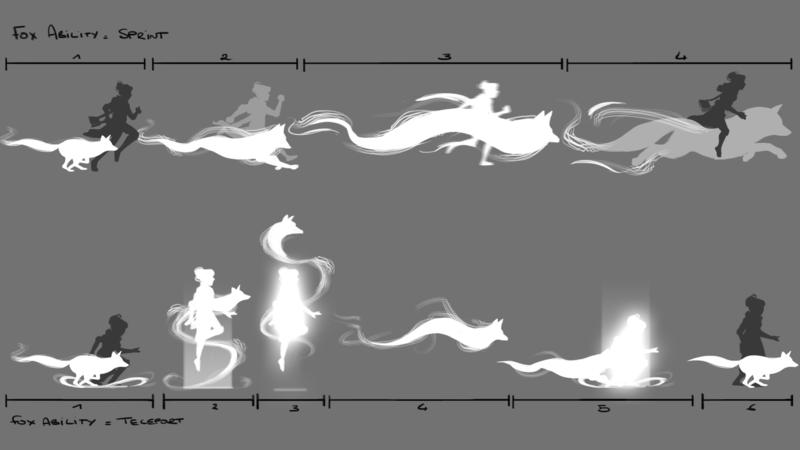 Here's a concept art showing you how you can move in Nanotale, using the Fox to print and teleportation or walking with Rosalind. 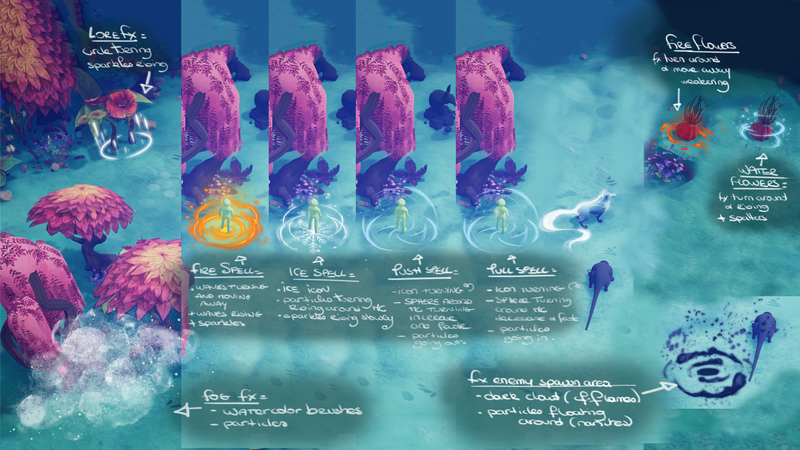 In that other concept for the FX in Nanotale we tried to keep it color-blind friendly but it can be really hard and complex. Gummy Bunnies or Axolotl: Pick you team! 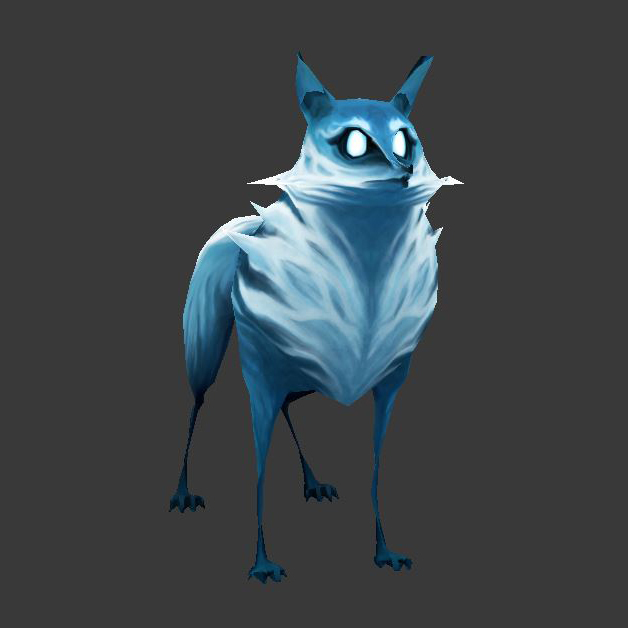 We also prepared these critters and they are now ready to be animated and integrated into our prototype. This is how the gummy bunnies look like in our game prototype. The enemy also got un upgrade. They now have feathers. This animation is the intimidation phase! Fear the Enemy! When you see the Rat doing this, it's about to attack. Apparently, inverting inflation on Blender creates a nice Tim Burton effect on our Fox! We kind of like it even if it's not the look we want.